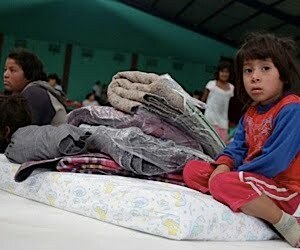 Pacaya’s Eruption Hit’s Hard as Tropical Storm Agatha Delivers the Knockout – When Will We Cry? Most of you already know that on Thursday, Volcano Pacaya (located 25 miles south of Guatemala City) erupted, spewing rocks, black sand and ash all over Guatemala City, causing massive traffic problems and the airport to be closed. The volcano remained very active as of Sunday but the intensity of the eruption appeared to be diminishing, civil defense officials said. 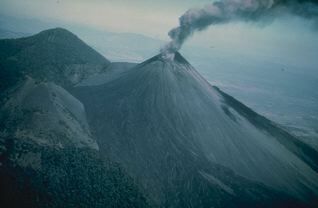 Pacaya has been active since the 1960s but had not ejected rocks and ash since 1998. 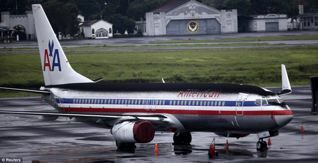 As if that wasn’t enough, Tropical Storm Agatha then landed on Guatemala’s shores, further delaying the opening of the airport. Recently, the Pacaya volcano increased its activity after a small earthquake; the arrival of a tropical storm on top of that generated a dangerous combination of falling water, ashes and stones. Over 30 inches of rain fell. I have spoken with Ely several times and he said they are ok but many people are homeless in and around the city. Though the storm hit land at Tecun Uman it has been reported that most of the damage is in the mountains around Lake Atilan in Solola. So far, it has been reported that 120,000 evacuated and 123 dead. Many crops have been destroyed bringing the food crisis to new levels. Edson and Eduardo have been busy delivering clothes and food to Amatitlan where many have lost everything due to the flooding. I will be heading down on Friday and a team from FBC Groves, TX is coming on Saturday. Please continue to pray for all of those affected by the devastation and the team coming next week. We will bring you more news when we know more.